Age-related macular degeneration (AMD) is a disease that blurs the sharp, central vision you need for “straight-ahead” activities such as reading, sewing, and driving. AMD affects the macula, the part of the eye that allows you to see fine detail. AMD causes no pain. The American Academy of Ophthalmology(link is external) currently recommends against routine genetic testing for AMD, and insurance generally does not cover such testing. Below are a few questions you may want to ask your eye care professional to help you understand your diagnosis and treatment. If you do not understand your eye care professional’s responses, ask questions until you do understand. You may see claims that your specific genetic makeup (genotype) can influence how you will respond to AREDS supplements. Some recent studies have claimed that, depending on genotype, some patients will benefit from AREDS supplements and others could be harmed. These claims are based on a portion of data from the AREDS research. NEI investigators have done comprehensive analyses of the complete AREDS data. Their findings to date indicate that AREDS supplements are beneficial for patients of all tested genotypes. 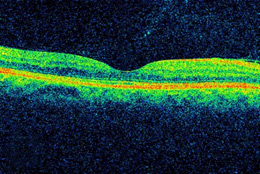 Based on the overall data, the American Academy of Ophthalmology(link is external) does not support the use of genetic testing to guide treatment for AMD. 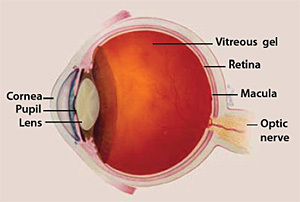 Clumps of protein reduce the sharpness of the image reaching the retina.The lens consists mostly of water and protein. When the protein clumps up, it clouds the lens and reduces the light that reaches the retina. The clouding may become severe enough to cause blurred vision. Most age-related cataracts develop from protein clumpings.When a cataract is small, the cloudiness affects only a small part of the lens. You may not notice any changes in your vision. Cataracts tend to “grow” slowly, so vision gets worse gradually. 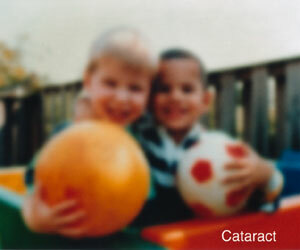 Over time, the cloudy area in the lens may get larger, and the cataract may increase in size. Seeing may become more difficult. Your vision may get duller or blurrier. The clear lens slowly changes to a yellowish/brownish color, adding a brownish tint to vision.As the clear lens slowly colors with age, your vision gradually may acquire a brownish shade. 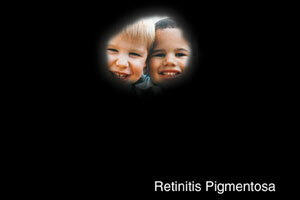 At first, the amount of tinting may be small and may not cause a vision problem. Over time, increased tinting may make it more difficult to read and perform other routine activities. This gradual change in the amount of tinting does not affect the sharpness of the image transmitted to the retina.If you have advanced lens discoloration, you may not be able to identify blues and purples. You may be wearing what you believe to be a pair of black socks, only to find out from friends that you are wearing purple socks. If you have cataracts in both eyes that require surgery, the surgery will be performed on each eye at separate times, usually four weeks apart. The operation usually lasts less than one hour and is almost painless. Many people choose to stay awake during surgery. Others may need to be put to sleep for a short time. If you are awake, you will have an anesthetic to numb the nerves in and around your eye. 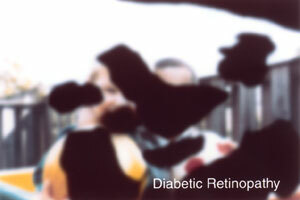 The same scene as viewed by a person normal vision (Top) and with (Center) advanced diabetic retinopathy. The floating spots are hemorrhages that require prompt treatment. 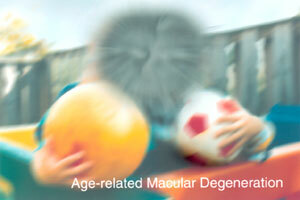 DME (Bottom) causes blurred vision. 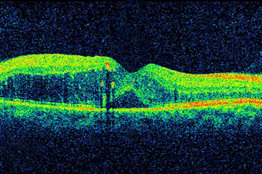 The retina of a person with diabetic retinopathy and DME, as viewed by optical coherence tomography (OCT). The two images were taken before (Top) and after anti-VEGF treatment (Bottom). The dip in the retina is the fovea, a region of the macula where vision is normally at its sharpest. Note the swelling of the macula and elevation of the fovea before treatment. Glaucoma is a group of diseases that can damage the eye’s optic nerve and result in vision loss and blindness. Open-angle glaucoma, is the most common form of the disease. This information was developed by the National Eye Institute to help patients and their families search for general information about glaucoma. An eye care professional who has examined the patient’s eyes and is familiar with his or her medical history is the best person to answer specific questions. Fluid pathway is shown in teal. The same scene as viewed by a person with glaucoma. Visual field test. This test measures your peripheral (side vision). It helps your eye care professional tell if you have lost peripheral vision, a sign of glaucoma. Tonometry is the measurement of pressure inside the eye by using an instrument called a tonometer. Numbing drops may be applied to your eye for this test. A tonometer measures pressure inside the eye to detect glaucoma. Medicines. 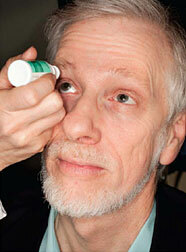 Medicines, in the form of eyedrops or pills, are the most common early treatment for glaucoma. Taken regularly, these eyedrops lower eye pressure. Some medicines cause the eye to make less fluid. Others lower pressure by helping fluid drain from the eye. Before you begin glaucoma treatment, tell your eye care professional about other medicines and supplements that you are taking. Sometimes the drops can interfere with the way other medicines work. Glaucoma medicines need to be taken regularly as directed by your eye care professional. Most people have no problems. However, some medicines can cause headaches or other side effects. For example, drops may cause stinging, burning, and redness in the eyes. Many medicines are available to treat glaucoma. If you have problems with one medicine, tell your eye care professional. Treatment with a different dose or a new medicine may be possible. A tonometer measures pressure inside the eye to detect glaucoma. Make sure your eye care professional shows you how to put the drops into your eye. For tips on using your glaucoma eyedrops, see the inside back cover of this booklet. Laser trabeculoplasty. Laser trabeculoplasty helps fluid drain out of the eye. Your doctor may suggest this step at any time. In many cases, you will need to keep taking glaucoma medicines after this procedure. Laser trabeculoplasty is performed in your doctor’s office or eye clinic. Before the surgery, numbing drops are applied to your eye. As you sit facing the laser machine, your doctor holds a special lens to your eye. A high-intensity beam of light is aimed through the lens and reflected onto the meshwork inside your eye. You may see flashes of bright green or red light. The laser makes several evenly spaced burns that stretch the drainage holes in the meshwork. This allows the fluid to drain better. Like any surgery, laser surgery can cause side effects, such as inflammation. Your doctor may give you some drops to take home for any soreness or inflammation inside the eye. You will need to make several follow-up visits to have your eye pressure and eye monitored. If you have glaucoma in both eyes, usually only one eye will be treated at a time. Laser treatments for each eye will be scheduled several days to several weeks apart. Studies show that laser surgery can be very good at reducing the pressure in some patients. However, its effects can wear off over time. Your doctor may suggest further treatment. Conventional surgery. 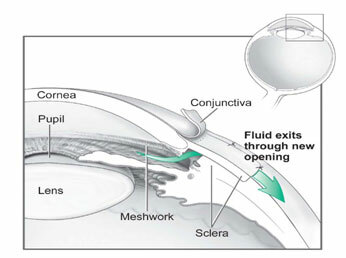 Conventional surgery makes a new opening for the fluid to leave the eye. (See diagram on the next page.) Your doctor may suggest this treatment at any time. Conventional surgery often is done after medicines and laser surgery have failed to control pressure. 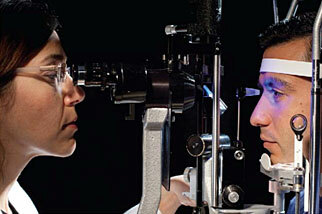 Sometimes after conventional surgery, your vision may not be as good as it was before conventional surgery. Conventional surgery can cause side effects, including cataract, problems with the cornea, inflammation, infection inside the eye, or low eye pressure problems. If you have any of these problems, tell your doctor so a treatment plan can be developed. What are some other forms of glaucoma and how are they treated? A comprehensive medical history is important to identify other potential risk factors, such as low blood pressure, that contribute to low-tension glaucoma. If no risk factors are identified, the treatment options for low-tension glaucoma are the same as for open-angle glaucoma. 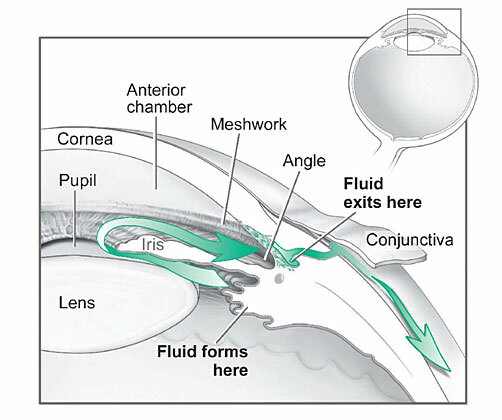 In angle-closure glaucoma, the fluid at the front of the eye cannot drain through the angle and leave the eye. The angle gets blocked by part of the iris. People with this type of glaucoma may have a sudden increase in eye pressure. Symptoms include severe pain and nausea, as well as redness of the eye and blurred vision. If you have these symptoms, you need to seek treatment immediately. This is a medical emergency. If your doctor is unavailable, go to the nearest hospital or clinic. Without treatment to restore the flow of fluid, the eye can become blind. Usually, prompt laser surgery and medicines can clear the blockage, lower eye pressure, and protect vision. In congenital glaucoma, children are born with a defect in the angle of the eye that slows the normal drainage of fluid. These children usually have obvious symptoms, such as cloudy eyes, sensitivity to light, and excessive tearing. Conventional surgery typically is the suggested treatment, because medicines are not effective and can cause more serious side effects in infants and be difficult to administer. Surgery is safe and effective. 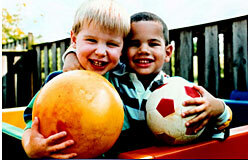 If surgery is done promptly, these children usually have an excellent chance of having good vision. Secondary glaucomas can develop as complications of other medical conditions. For example, a severe form of glaucoma is called neovascular glaucoma, and can be a result from poorly controlled diabetes or high blood pressure. Other types of glaucoma sometimes occur with cataract, certain eye tumors, or when the eye is inflamed or irritated by a condition called uveitis. 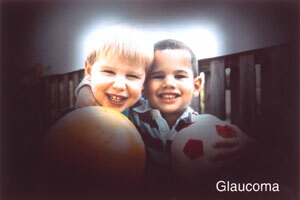 Sometimes glaucoma develops after other eye surgeries or serious eye injuries. Steroid drugs used to treat eye inflammations and other diseases can trigger glaucoma in some people. There are two eye conditions known to cause secondary forms of glaucoma. Pigmentary glaucoma occurs when pigment from the iris sheds off and blocks the meshwork, slowing fluid drainage. Pseudoexfoliation glaucoma occurs when extra material is produced and shed off internal eye structures and blocks the meshwork, again slowing fluid drainage. Depending on the cause of these secondary glaucomas, treatment includes medicines, laser surgery, or conventional or other glaucoma surgery. Through studies in the laboratory and with patients, NEI is seeking better ways to detect, treat, and prevent vision loss in people with glaucoma. For example, researchers have discovered genes that could help explain how glaucoma damages the eye. NEI also is supporting studies to learn more about who is likely to get glaucoma, when to treat people who have increased eye pressure, and which treatment to use first. If you are being treated for glaucoma, be sure to take your glaucoma medicine every day. See your eye care professional regularly. You also can help protect the vision of family members and friends who may be at high risk for glaucoma-African Americans over age 40; everyone over age 60, especially Mexican Americans; and people with a family history of the disease. 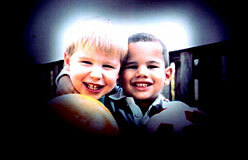 Encourage them to have a comprehensive dilated eye exam at least once every two years. Remember that lowering eye pressure in the early stages of glaucoma slows progression of the disease and helps save vision. If you have lost some sight from glaucoma, ask your eye care professional about low vision services and devices that may help you make the most of your remaining vision. 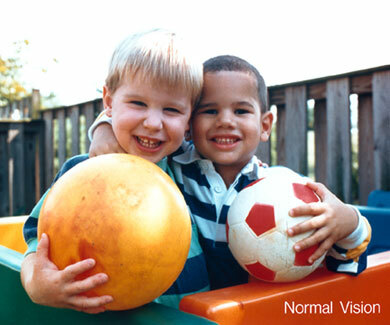 Ask for a referral to a specialist in low vision. 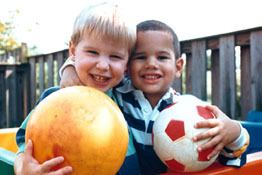 Many community organizations and agencies offer information about low vision counseling, training, and other special services for people with visual impairments. If eyedrops have been prescribed for treating your glaucoma, you need to use them properly, as instructed by your eye care professional. Proper use of your glaucoma medication can improve the medicine’s effectiveness and reduce your risk of side effects. Place the prescribed number of drops into the lower eyelid pocket. If you are using more than one eyedrop, be sure to wait at least 5 minutes before applying the second eyedrop. Close your eye OR press the lower lid lightly with your finger for at least 1 minute. Either of these steps keeps the drops in the eye and helps prevent the drops from draining into the tear duct, which can increase your risk of side effects. 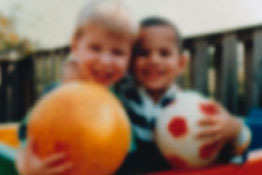 Refractive errors include nearsightedness and farsightedness, eye conditions that are very common. Most people have one or more of them. Refractive errors can usually be corrected with eyeglasses or contact lens. This information was developed by the National Eye Institute to help patients and their families search for general information about refractive errors. An eye care professional who has examined the patient’s eyes and is familiar with his or her medical history is the best person to answer specific questions.